I was lucky enough to visit the Forestry Commission Arboretum at Westonbirt last weekend. It is situated in the heart of the Cotswolds in Gloucestershire. Autumn is a fantastic time of year to visit for the stunning array of colours. 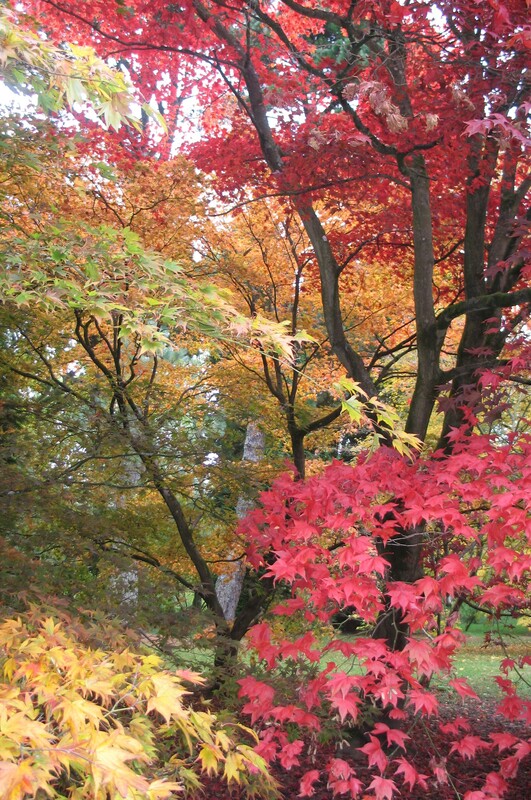 Westonbirt is internationally known for it’s collection of 2000 Japanese maples. and in late Autumnn their red, yellow and gold leaves dominate. Their largest trees are a staggering 13 metres tall though they are over 120 years old! If you’d like to add some Autumn colour to your garden Japanese maples (Acer palmatum) are perfect. There are many varieties that suit a small garden and work equally well in containers. They need a sheltered spot, away from strong winds and prefer partial shade. They also don’t like a scorching sun so try not to plant them where they’ll face South. 1. Acer palmatum var. dissectum ‘Crimson Queen’ with feathery purple leaves. 2. Acer palmatum var. dissectum with mid-green leaves that turn gold and orange. 3. Acer palmatum ‘Butterfly’ with grey-green leaves that have white and pink margins. 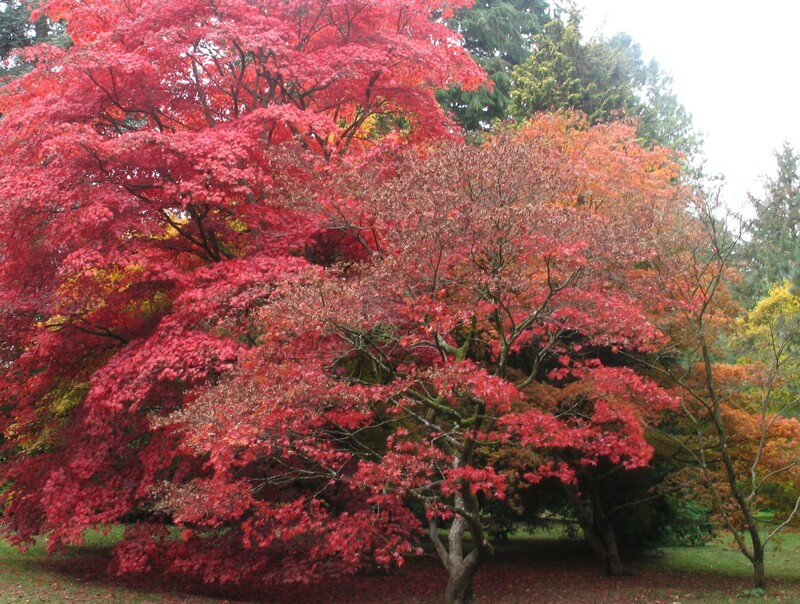 You can find more information about The Forestry Commission Westonbirt Arboretum here.